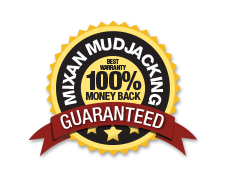 Void Filling | Mixan Mudjacking Inc. The root causes of voids are often poor compaction of the fill materials, erosion, high water content (shrink and swell cycles), decaying organic materials, freeze and thaw cycles, animals, and vibration. These voids, if left unattended, will lead to the eventual breaking of the concrete. Voids can lead to erosion by allowing water to travel under the slab. These voids can be very common under driveways, attached garages, and walkways. In industry the vibrations of machinery cause the supporting base material to vibrate, which allows the finer particles to settle out and consolidate lower down, leaving a void; resulting in settled and eventually broken concrete. Underground Municipal infrastructures are susceptible to voids especially around manholes, catch basins, and utility raceways. 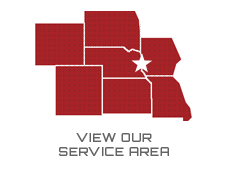 Void filling and leak repair can be done either from the inside or from the surface eliminating the need to excavate. Void filling foam is designed to flow longer before it cures. The low viscosity of the polyurethane allows it to flow and fill voids to 1/32. All this means less mess and inconvenience and a minimal loss of use of the slab. In commercial settings, loss of use can be a significant cost when considering repairs. Where settling has occurred, Mudjacking can fill the void and raise your concrete back to the correct level. Mudjacking also helps to stabilize the subsoil. WITH OUR SPECIALIZED TRUCKS WE CAN FILL ANY SIZE VOID!